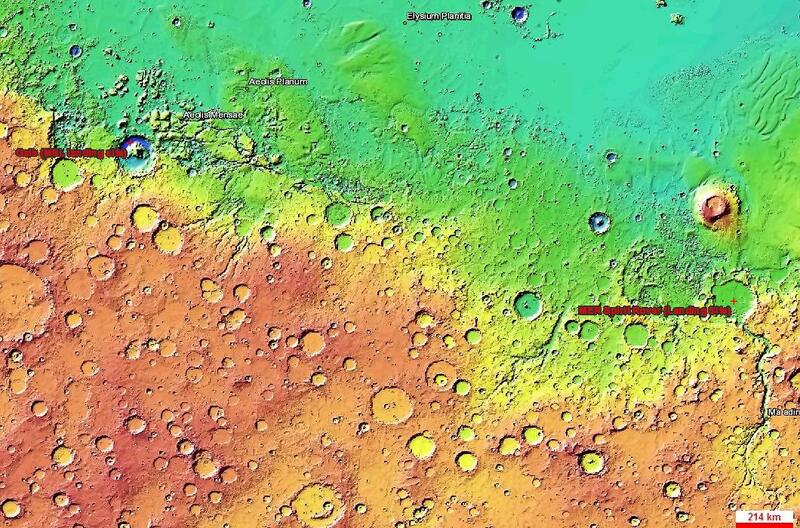 If you have a rough map of Mars a picture would help, but how far away are the three big rovers on Mars from each other? Is there any possibility of "roadside assistance" on Mars to "unstick" and recharge Spirit? Curiosity, being as big as she is, should have no problem nudging Spirit out of her predicament and angling her toward the sun to recharge, get back to work, and quit slacking off!! Curiosity is kind of close to Spirit, but keep this in mind. The equatorial circumference is about 13,000 miles. I'd guess the distance is over 1000 miles, far further than any rover has gone before, or is likely to ever go. There's just much more interesting things to do than go bail out a dead rover across the planet. Keep in mind they have multiple landers so that one can learn about different areas of Mars. Otherwise, they'd only need one rover... And while a theoretical mission could be done to save Spirit, it's just not practical. Opportunity is roughly 10,000 km away from Spirit in a straight line. At its top speed of 0.05 m/s (0.18 km/h), it would take approximately 2300 days to reach Spirit -- not that Opportunity can maintain that speed. Between limited electrical power, needing to slow down to navigate, and being unable to drive at night, driving is much slower. Based on the performance of the week of October 27, 2010, a more reasonable speed estimate is 60 meters per day, or about 450 years to reach Spirit. 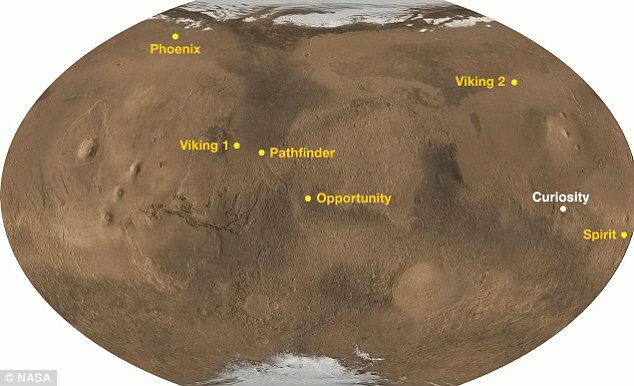 Curiosity is much closer, at about 2500 km. It has a rated travel speed of 200 meters per day, but this is mainly due to navigation restrictions rather than power limitations. Improved techniques might be able to get it up to its rated driving speed of 90 meters per hour, and since the rover's RTG operates just fine at night (unlike Opportunity's solar panels), continuous driving might be possible. In this case, it would take about 1200 days for Curiosity to reach Spirit, assuming it didn't need to detour around any major obstacles. This is, of course, assuming that the wheels don't wear out. According to Wikipedia, it's likely that Spirit has suffered permanent damage from cold as a result of insufficient power to run its heaters; any future rover which had the ability to fix that sort of thing would be so much more sophisticated than our current rovers that there would be no point in doing so. In any case, Spirit operated more than 20 times longer than it was designed to, which seems enough to earn it a permanent rest; maybe some day we'll be able to put it in a museum on Mars. Not the answer you're looking for? Browse other questions tagged mars rovers curiosity spirit opportunity or ask your own question.